There is powerful magnet at the bottom of the light, can be absorbed on the car or ship for mobile lighting. The tight structure design makes the light can work properly under high frequency shake conditions or in the rain. 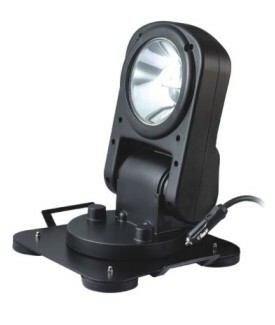 It provides lighting for kinds of engineering lighting trucks, patrol cars, accident maintenance cars etc. to work at night, and meets their lighting needs of all-dimension, multi-angle, long-distance inspection, search, rescue and construction work. Quality of QC750A is controlled strictly according to the ISO 9001 standard, 3-year quality warranty. Free maintenance service is granted for the troubles resulting from normal use within the 3-year warranty period, without materials and the repairing fee.